Hi! My name is Panda and I am that handsome fellow with the silly underbite. 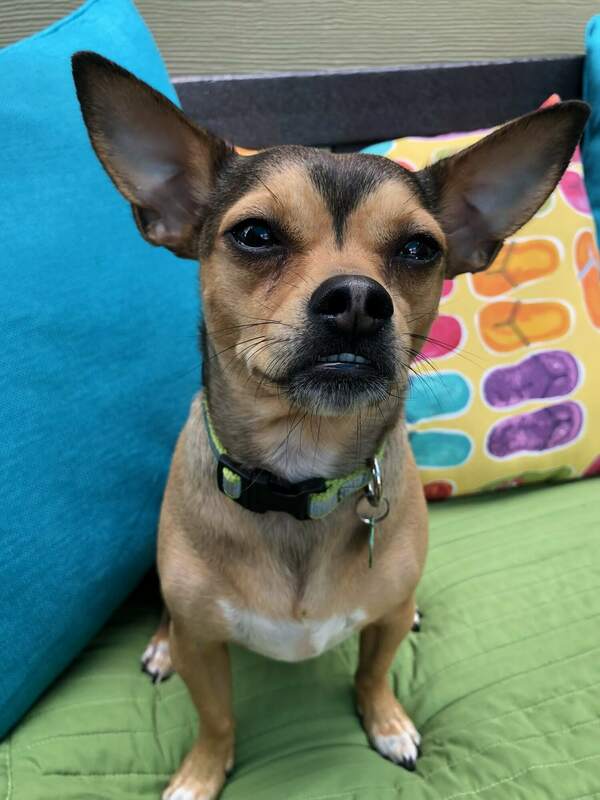 I am a 2 year old Chihuahua/Terrier mix weighing in at about 13 lbs. 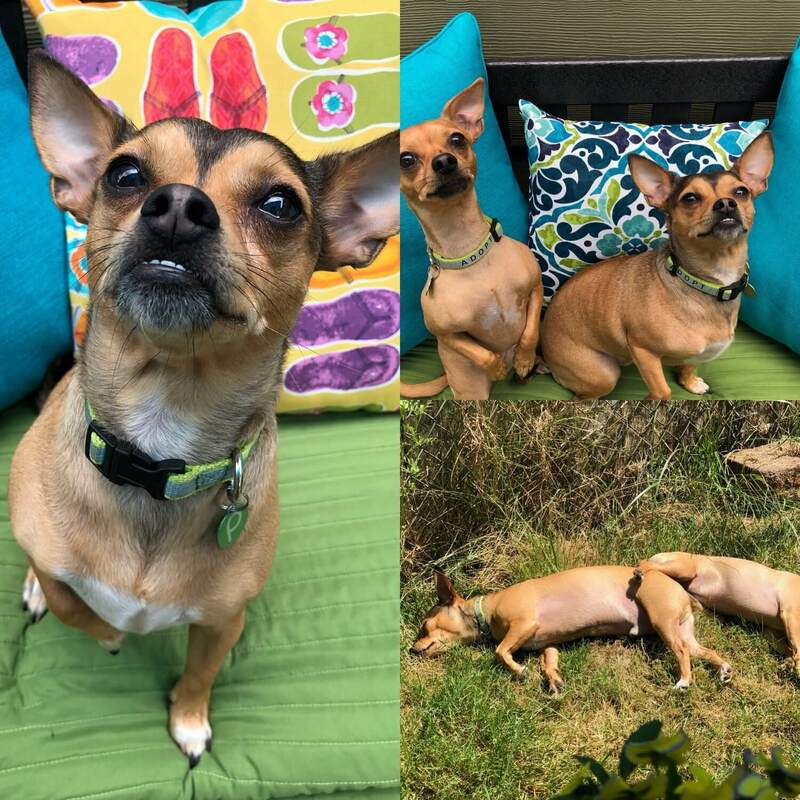 Though I came in with my sister Evie, after being in a foster home with other doggies, we learned that we were not in fact super bonded and had just stayed close to each other during our big transition. You see we lost our owner who had passed away, so we stuck with what we know-which was each other! But now we have become independent from each other, both forming bonds with different dogs and human pals! I am a more mellow soul who is has an easy going vibe. I had the pleasure of meeting Pixie’s office cat and wanted to keep my distant, so a dog savvy kitty in the home would be just fine! Downtown living is definitely not for me, and prefer a little bit quieter suburb of town. I enjoy meeting my human pals over 12 and really enjoy the company of another dog. In fact, having another dog around really boosts my confidence and would need to be in a home with another smaller mellow pup. As soon as those sunny afternoon rays hit, you will catch me sunbathing with whoever wants to join. I am a sweet, hilarious, and down right adorable dude looking for my next lap to snuggle on. Will it be yours? Fill out an application today, so we can meet! I come to you spayed, micro-chipped, and vaccinated with a total adoption fee of $350.